If you’re the owner of a home with a flat roof, you know that they can offer some pretty serious benefits in terms of aesthetics and energy efficiency. Plus, a secondary outdoor space? Count me in! While that’s all good, flat roof owners do have to be more careful to prevent roof leaks, damage, and other problems. A leak in a flat roof can lead to eventual collapse and tons of property damage if you’re not careful. But you can avoid the bulk of these problems with regular maintenance. 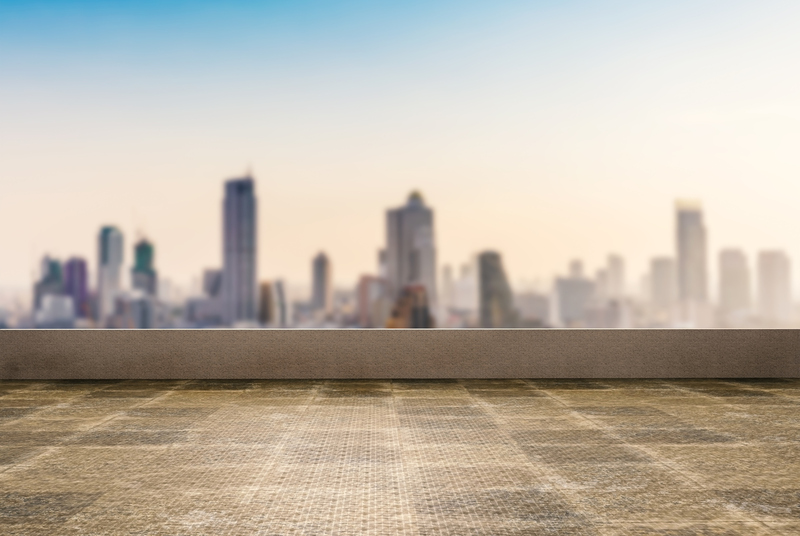 First of all, we should clear up a common misconception: flat roofs aren’t actually flat. If a flat roof is properly designed, it will typically have a very slight slope. That’s to help water from pooling on your roof—it’s just such a slight pitch that it’s usually pretty imperceptible to the untrained eye. Rainwater can be a pretty serious threat to a low-sloped or flat roof. Unlike a steeply pitched roof, these surfaces don’t always have the power of gravity working with them to carry runoff down to the ground. Drainage systems on a flat roof can be overwhelmed quickly by falling debris—and anytime there is standing water on a roof, issues will abound. The water weighs your roof down, which can cause it to collapse. Additionally, standing water provides an opportunity for leaks to occur, especially in hairline cracks that may form over time from constant water exposure. Here’s how to protect your roof—and help it live its best life yet. Rainwater outlets on your flat roof’s drainage system can be easily blocked by windswept debris—particularly in the height of autumn, when the leaves are falling fast. Installing a leaf guard on your gutters will help a little, but don’t count on it to prevent blockages entirely all by itself. As the owner of a flat-roofed home, you’ll need to perform more regular maintenance of your roof’s drainage system to make sure that water is going where it’s supposed to. A roof is no place for a rogue tree, but believe it or not, some flat roof owners have seen saplings take root after they let their roof maintenance go for too long. A once-over with a broom solves that problem, and makes your home look nicer, too! Roofers typically tell homeowners that, barring any unforeseen events, their new roof will last them around fifteen years. But due to their constant exposure to moisture and standing water, flat roofs just don’t last as long as sloped roofs. Your flat or low-sloped roof will need a full roof replacement every ten years, so budget wisely. 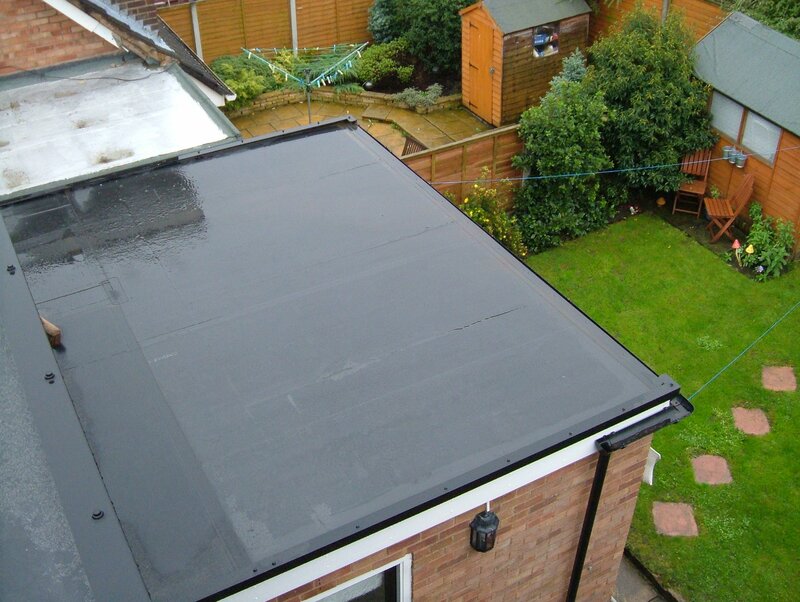 Waterproofing is a pretty important feature of a flat roof. Asphalt, tile, and other surfaces are porous, increasing the chance for leaks, mold, and moisture damage if you have poor drainage on your roof. A waterproof sealant can protect your roof, however. In fact, many flat roofs are sealed with water-resistant coatings. Unfortunately, it’s a little more complicated than slapping on some sealant and going about your merry way. Uneven coatings or the wrong kind of sealant can cause a lot more harm than good. Additionally, you should first have the roof cleaned to keep debris and dirt from mixing with the sealant. The roof should be dry, as well—trapping moisture below the coating is asking for trouble, since this can lead to rot and mold eventually. You may even want to consider having the roof inspected by a professional before attempting to add sealant, since they can seek out damages or other problems that would cause your sealant to fail. The sealant, too, should usually be applied by someone who knows how. First of all, they can help you pick out the proper product. Roof coatings can be used to avoid all kinds of common roof issues, from insulation to UV damage, so you need to specifically seek out a water-resistant sealant. The seal needs to be applied in a smooth, continuous, and even coat—otherwise pinholes and small cracks can form, which will let in water. For these reasons, it’s typically best to engage a professional to apply the coating. What might be a small problem in a sloped roof can have huge consequences for flat roof owners. Therefore, roofing professionals typically recommend that you have a flat roof inspected more frequently—twice a year is ideal. Aim for having an inspector out to visit once in the summer and once in the winter. Why so often? Small flaws can often be repaired rather easily, but they won’t stay small for long. It’s best to catch these issues early—before they wreak havoc on your home. While no homeowner should let a roof crack go unchecked, it’s particularly important to repair small fissures and cracks right away when you have a flat roof. You should have large cracks investigated by a professional, of course, but it is possible to repair tiny flaws yourself with roof mastic and wire roof mesh. In particular, look for cracks around any raised ridges—these imperfections often appear on flat roofs over time due to water exposure. Error on the side of caution, though. It’s always best to enlist professional help for something larger or more extensive. Giving your roof the help it needs is the best way to keep it in beautiful, leak-proof condition.